Yesterday was my granddaughter, Charissa's, birthday. I sent her a card but didn't take a picture of it before putting it in the envelope and mailing it. Once she gets it, Wayne, my oldest son and her stepfather, is supposed to take a picture of it so I can show you the card I made her. 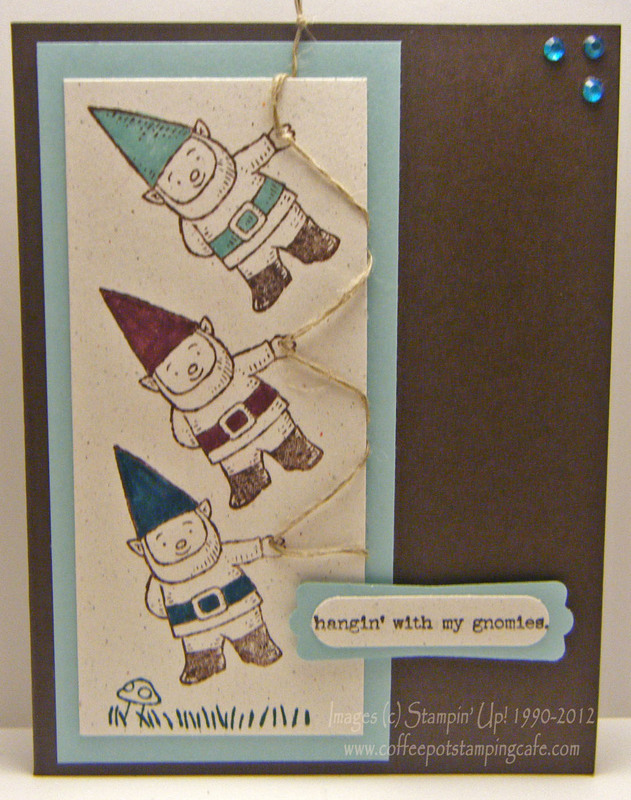 In the meantime, I've got a card that was just plain fun to make. 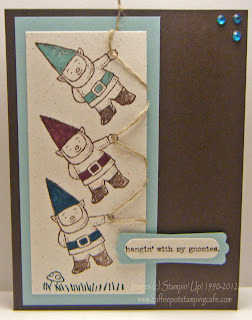 Our Gnome Sweet Gnome Stamp Set is really growing on me and the possibilities are limitless. Along with the Gnomenclature Stamp Set, you have the perfect pair. Although you can't see it in the photo, the Linen Thread extends beyond the top of the card about two inches. I guess I thought it looked more like hanging with the extension. I'm not exactly sure why.